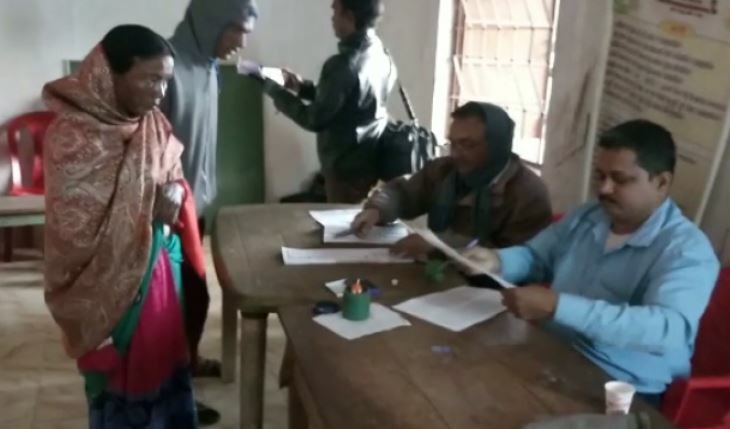 Baripada: Casting of votes for the zone no-32 of Bijatala Zilla Parishad started today morning amidst good voter turnout at almost all booths. Long queues of voters were seen in front of all 82 booths set up across five panchayats starting from morning 7 am today. The voting will continue till 12 noon. Notably, around 23000 voters of Bijatala, Mundathakura, Banakati, Raihari and Luhasila will exercise their universal franchise during the polling process today. Ample security arrangement has been made for the purpose. While, a total of 10 candidates are in the race in this by-poll, their fates will be declared tomorrow with the announcement of results. The by-poll was necessitated after BJP candidates who had won from the zone in 2017 passed away a few months ago.